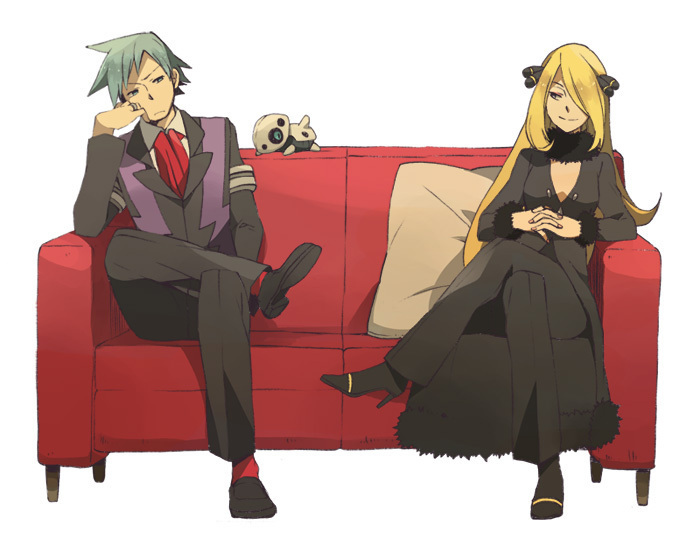 Cynthia and Steven. Two champions and Aron :D. Wallpaper and background images in the Pokémon club tagged: pokémon champions aron steven stone cynthia. This Pokémon fan art might contain surcoat, surcot, bien habillé personne, costume, costume pantalon, tailleur-pantalon, pantalon costume, pantsuit, personne bien habillé, and pantalon de costume. I AM ABOUT TO BE A POK'EMON MASTER!!!!! I ALREADY BEATEN LANCE CYNTHA AND STEAVEN!!! I JUST HAVE TO BEAT RED!!!!!!!!! I've beat all the champions and frontier brains and gym leaders and villains and the elite 4 and various trainers in between for fun and done all Pokeathlon and Pokemon contests against my will can I get something new too do now?? ?